When it comes to making home cooked meals, we all need help sometimes, no matter how good a cook we are. Things go wonky: Cake pans overflow, vegetables melt into a gray gelatinous puddle, chicken suddenly decides to go rubbery in the frying pan. Even those of us who wrangle food for eight hours a day run into our fair share of problems. Most of the questions I get as a kitchen coach are about how to deal with cooking disasters. Like, just today I put a few potatoes in the oven to bake. One &@$#!% potato refused to cook while all the other potatoes in the oven baked just fine. Either this potato had nine lives or there was something seriously wrong with it. I’m not sure who cursed this demon tuber, but it sat in that 425° oven for well over an hour, completely impervious to heat and flame. I ended up chucking it into the bin so it could go haunt the landfill (god knows I didn’t want its funky vibes anywhere near the compost bin). Sometimes you accomplish an amazing feat and really want to shout it from the rooftops. Sometimes you need a little support, because your beautiful home cooked meal suddenly looks like Swamp Thing Revisited, or you need to share an epic failure that threatens to lock your culinary self esteem in dry storage for the next six months. And sometimes you just need ideas for dinner. 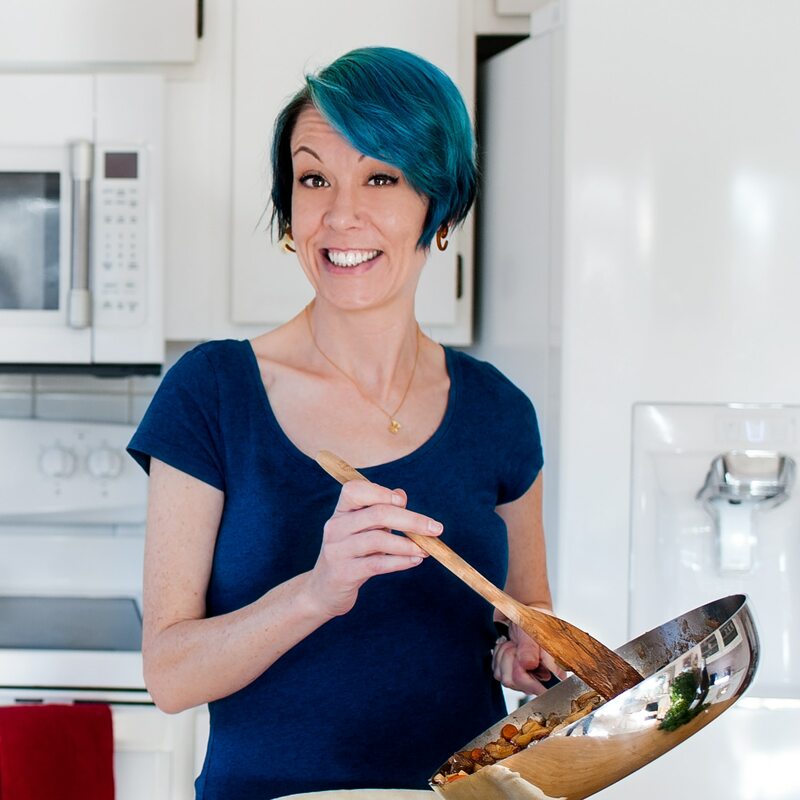 This new community is a place you can go to get answers and hang out with like-minded folks who want to talk about food, cooking, and how it all relates to life. But it’s more than that – it’s also a group of good people who have your back when the beef stew hits the fan. It’s your key to epic home cooked meals, to learning how to cook like a pro, and for figuring out exactly what to cook for dinner tonight. It’s totally free and where you already hang out: Facebook. So join today, say hello, and share your questions and experiences! 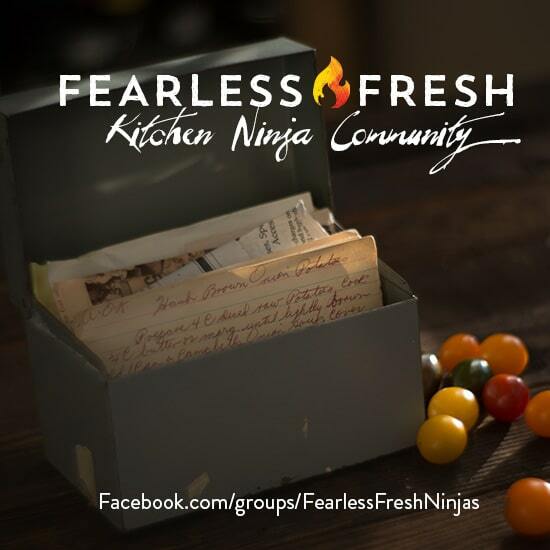 Join the Fearless Fresh Ninja group on Facebook, and say hello! Introduce yourself, ask a question, share your biggest win, let us know what you’re making for dinner tonight.